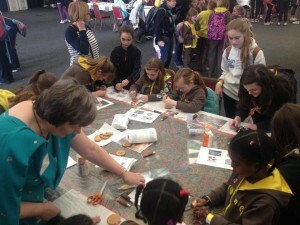 Over Thinking Day weekend, Girlguiding hosted a two day event at Alexandra Palace in London in celebration of Thinking Day and the Big Brownie Birthday. 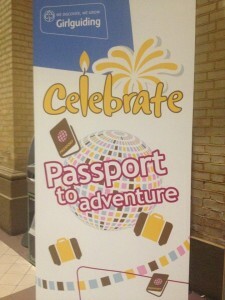 The event, Celebrate, was attended by nearly 8000 members of Girlguiding and had a wide range of activities for Rainbows, Brownies, Guides, members of The Senior Section and Leaders to take part in. Activities ranged from climbing walls, a silent disco, science experiments to playing musical instruments, girls thinking about who their role model would be and international activities. 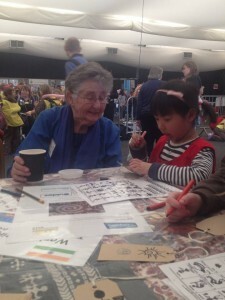 Over the weekend 7 members of Friends of Sangam ran Indian themed activities in the ‘Passport to Adventure’ area at the event. 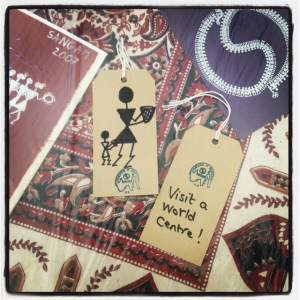 These activities included henna designs on biscuits, Warli art luggage tags and card as well as henna with facepaint. All of these activities proved to be very popular with everyone, from Rainbows to Leaders! These activities proved to be a great talking point for the FOS (UK) members to talk about their experiences at Sangam, and to encourage others to hopefully visit Sangam in the future. Even one Rainbow said she would like to visit one day! A very big thank you goes to those FOS (UK) members, Jane Wardropper, Trish Robinson, Susannah Hodge, Barbara Peart and Liz Aveston for all of their efforts in organising and running the activities over the weekend, and a special thank you to Jane for all of her involvement in getting FOS (UK) involved with this great event. 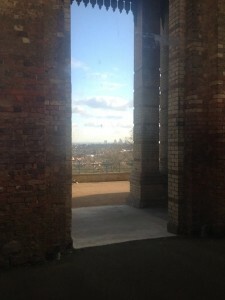 For more information about the event, please have a look at this page on the Girlguiding website.